아비치의 음악은 불안했던 시기 제 삶에 위로였고 꿈의 시작이였고 저의 원동력이였습니다. 당신이 어디로 가든 당신의 음악은 항상 여기 있다는 것을 알아요. 단 한 번도 직접 본 적 없지만 당신의 음악을 들으면서 뚜렷하게 당신을 느낍니다. 감사하고 사랑합니다. 오늘도 아비치를 통해서 음악의 소중함을 느껴요. His manager is so stupid. He mentally killed him. Avicii’s songs are one of the most meaningful things to me. They make me feel...anything. Either I’m sad or happy, he just helps me immerse in that feeling, and realize that I can always see the better side of it. Anywhere I’d go, to many things I’m doing, he’s songs will always be my life’s soundtrack. We miss you, Tim, but I bet you’re throwing a party in the sky. At the most depressing time of my life- about 2014- I discovered your music, Avicii and simply fell in love. It’s almost unbelievable that you’re gone- but you surely will be remembered for your talent, as well as your beautiful spirit. Sometimes- when I feel lonely, I listen to your music- and with the collaboration with Rita Ora on “Lonely Together” I get reminded on that as fans, we can all be lonely - but lonely together is better. RIP beautiful soul. Your music reminds me of the summer of 2013 when I just discovered MTV. I was new to the music at the time and I loved most of it. Your song "Wake Me Up" didn't really get attached to me, but that's what started the chain of events of discovering and following your path to greatness. I loved The Nights, I Could Be The One, and Waiting For Love. Your death may be tragic, but you have left a legacy to be remembered and be carried on by future artists. Your hardwork was never in vain. R.I.P legend. The World didn't deserve Tim. I've always been a long time fan of Avicii, and his death shocked me so much. 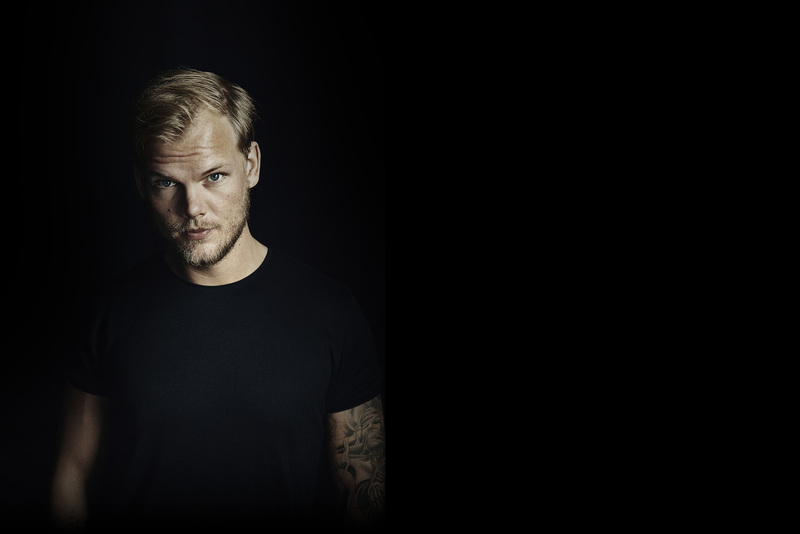 I was devastated when I heard about Avicii's death, as he was, and still is, one of my favourite musicians of all time. He was truly one skilled and talented young man. May he rest in peace forever. I love you Avicii. Through the tough times I have had with basically everything, his music made me carry on strong every single day. Through social struggles, innjuries. Whilst my life was falling apart, I would alwasy turn on some of his music and just forget about everything else and just enjoy his masterpieces. Truly the most gifted musician, not only in modern times, but of all time. A single artist have not accomplished close to the same as Tim did. The way he changed music makes hm the biggest. One of the best electro artist of our times. wake me up when it's all over... you are in our hearts always, Tim. Avicii's lyrics are touching and heartbreaking when you think about him. "'One day you'll leave this world behind So live a life you will remember.' My father told me when I was just a child These are the nights that never die"
Tim, , you'll be always in my heart and in my mind, i'll miss every day of my life. Thanks for all you have done. Miss you. Love you always. Avicii , You are my star. You are starter of my shiny EDM LIFE. from May you be in full Love. Thank you for everything you gave us. Tim for me is an inspiration. Each day I listen his music and I fell happy. I bite life to the bone. One of the best singers I’ve ever known. His songs allow me to go through difficult times. The lyrics of his songs are comforting for me. We’re gonna miss you, Tim! Он был хорошим человеком и прекрасным диджеем,видно,что сочинял треки от души а в наше время это далеко не маловажно. from Nunca te olvidare TIM. avicii I do not understand why you comitted sioucide, but you are remebered. I miss you Tim. Months have passed and it still hurts to know my idol was going through so much pain and sadness. I remember listening to you when i was just a kid and to this day I am still listening to you. You are my childhood hero. You will live forever in our hearts. You are loved by millions and you will never die. "Unable are the loved to die for love is immortality"
I never had more fun in clubs and pubs than when Avicii came on. I hope it is a long long time before he is forgotten. I hope you have now achieved peace Tim. We still remember in our hearts. Can't believe how much stress everyone made for him to go through the shows. Poor young Tim he likes making music but he hated doing shows, his life was never the same after the 4 years. Rip Tim, I'm mad what people have been pushing you through. "There's an endless road to rediscover." Thank you, Avicii, for being an inspiration to millions around the globe including myself. You made me believe in the true power of music and become a fan of EDM. I am sent to another world by the time a song starts. Anyone could start singing one of your songs and people around will continue, in harmony. Thank you, Tim. You are missed every second of the day. avicii we ways ares for you!!!!!!!!!!!!!!!!!!!!!!!!!! I listened to you whenever I felt down. Thank you for being my go-to whenever I felt done. I wish you didn't have to go so soon but I will keep your memory in my heart and your music in my playlist. My birthday is 4/8/06, 12 days before he died but I had my party on the 20th of April and I had just made my birthday wish to see Tim in person but just as I blew out the candles my phone vibrated and when I looked to see what the notification was, it said that Tim had just died of suicide and I just ran into my room and cried because I knew at that moment that I would never get my birthday wish. I used to be extremely suicidal but Tim has helped me through the tough times so, thank you Tim.